Something curious is going on with our buying habits – we’re all choosing to give up ownership. Whereas once our houses were filled with records, CDs, books and books, we now access this entertainment online. It’s simple really. After all, why commit to the limitations of the physical media when you can have what you want anywhere, at any time? It’s a logic that’s meant not only are we buying less physical media, we’re not “buying” at all – we just pay our fee and binge on content that’s only limited by our free time. It’s almost beautiful in its simplicity. After all, why own when you can stream for a flat monthly fee? It’s a template that has been successfully replicated across countless industries from Amazon’s Prime Reading which offers a wide library of books for a flat monthly fee to the endless parade of music streaming services from the likes of Spotify, Google, Apple, Deezer and more. With such obviously inherent appeal though, why hasn’t anyone tried a video game streaming service? After all, gaming is a huge business, worth over $116bn in 2017 and encompassing everyone from major console developers like Rockstar Games to web-based gaming platforms like 32Red Casino‘s online casino games which, incidentally, utilise video streaming to enhance their offering. With such support, surely a platform where you can stream any new game directly to your internet-enabled device without worrying about specifications or compatibility would be a huge hit? Why – you might wonder – hasn’t it been tried? Well, it has, and though the timing wasn’t right the first time around, online game streaming is about to break through to the big time, backed by huge companies. OnLive, a company founded by the visionary mind behind QuickTime, WebTV and facial capture technology Mova, was supposed to be the future of gaming. Launched at the 2009 Game Developers’ Conference in San Francisco, OnLive made a huge splash by giving attendants the opportunity to play the most graphically intensive games in the world at high frame rates on computers which, normally, would never stand a chance. The trick was in utilising server farms, the sort of which presently manage large amounts of the worlds processing requirements. By installing powerful graphics cards in these servers, gamers could switch on their PC and stream games from the servers directly to their screen without having to own any of the powerful hardware. The appeal was incredible. ‘Netflix for Games’ was the marketing push and the company quickly found 100,000 people all-too-eager to help beta-test the product as publishers lined up to be on the service. Within three years, the company shut down. Mistakes had been made, thousands of servers had been purchased in countries around the world and were lying unused. Indeed, the company allegedly only ever managed a total of 1,600 concurrent users. Customers just weren’t coming, and it was down to the standard of internet connections at the time. Simply, few had a connection fast enough to enable smooth, lag-free streaming in households where people were often using the connection for more than one thing. As subscriber numbers fell, so did support and OnLive found itself stranded. But it wouldn’t be the end. By 2019 it will have been a full decade since the OnLive reveal and, in that time, much has changed. Most importantly, average broadband speeds have risen dramatically, with costs down significantly also. In the UK, for example, average broadband speeds in April 2014 were 17.8Mbps, less than half of April 2017’s reading of 36.2Mbps. It’s a huge leap, one that’s meant that multiple users in a single home can effectively stream bandwidth-heavy content, like 4K movies, without buffering. It has meant that unlike 2009, home and mobile users are well positioned to make use of game streaming services, and that reality has piqued the interest of some major names. We’re talking about the likes of Sony, who stream PlayStation 3 and 4 games to PCs and PlayStation 4s under the PlayStation Now banner and global graphics leader NVIDIA who stream games under the GeForce Now name. These companies aren’t youthful startups and when they move into a market, they don’t play around. However, they’re not the only names in the game, and rumours are that they’re about to be joined by an even bigger fish – Google. The rumoured ‘Yeti’ streaming service would make use of Google’s existing world-class servers (which power the likes of search, Google Play Music and YouTube) to stream latency-free video games to any device with an internet connection and a screen. It’s the return of online game streaming which, despite early failures, still contains vast potential. The question for these companies is whether online game streaming can grow as successful as web-based gaming has become? 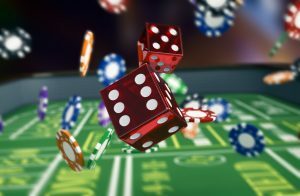 HTML5 powered web-gaming like that offered by 32Red and Coral has shown that low-powered PCs, tablets and smartphones are more than capable of showcasing fully fledged, high-quality casino gaming. It’s proven immensely popular, and so game streaming will have to demonstrate a clear and significant benefit over both modern high-end games consoles like the Xbox One X and PlayStation 4 Pro and low-resource web gaming. Time will tell, but there’s no doubting that online game streaming is finally ready for another shot at the big time.